Get an Early Start! Assigning Next Year’s New Students Can Begin NOW. Ever have to wait for the beginning of an ever-shortening summer season before preparing for the next school year? Now transportation management does not have to wait for one year to end before starting the next. 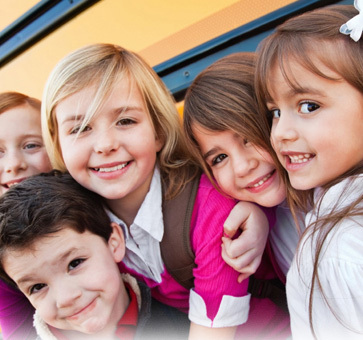 With the innovative BusTracks® transportation management system, you can enter new kindergarten students (and even put them on buses) before the close of the current year. This Early Registration feature does not interfere with BusTracks’ automated PDE reimbursement reporting process. It just makes managing transportation easier by preparing for the next year sooner. For example, if your district sponsors a spring kindergarten registration, BusTracks’ portability allows quick, knowledgeable answers to parent’s transportation concerns, such as where and when can my child expect to meet the bus and how many riders are expected? It’s easy. With Bustracks you can enter kindergarteners and other new students early to expedite the assignment, routing, and notification process. You don’t have to wait until summer to prepare for the upcoming school year. Learn how BusTracks can help your district. Call us at 800-303-2921, or e-mail Jim at jfilling@bustracks.com. There is no charge for an Initial consultation or product demonstration.